The Sandy Creek Bridge forms a portion of the High Country Rail Trail. 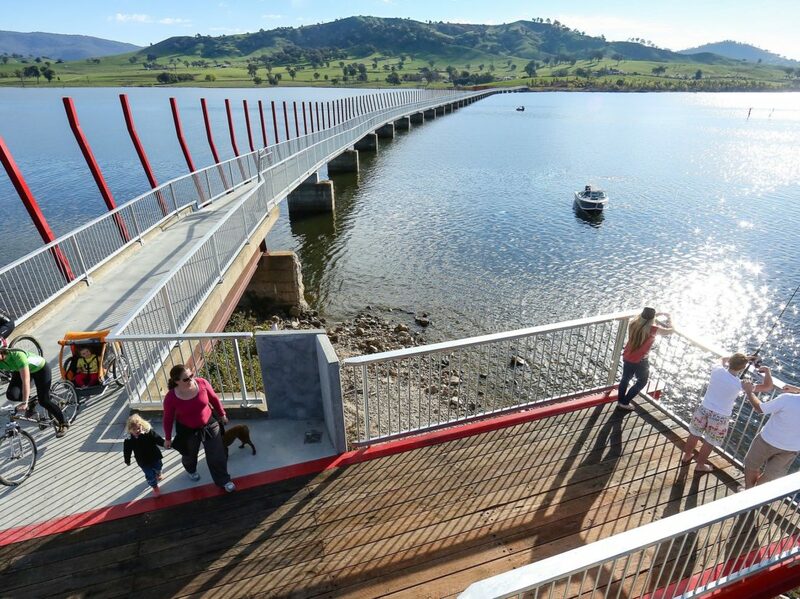 The Sandy Creek Bridge was reconstructed in 2012 with a 600 metre architecturally designed pedestrian and cycling bridge, sitting on the original rail pylons stripped of track after the Cudgewa branch line closed in 1981. Adjacent to the bridge are picnic tables and a viewing platform to take in the spectacular scenery.